Our English Language Students asked and EC listened! New Student Residence coming! We have some great news about Student Residences at EC San Francisco! Since EC San Francisco opened in 2010 we have received a lot of feedback from our students that while they love San Francisco and EC San Francisco, a weakness has been the options for students residences. We have used a number of a residence hotels in San Francisco in our first three years. While convenient to the school, students haven’t been completely satisfied with these residence hotels, which are also open to the public and to other schools. 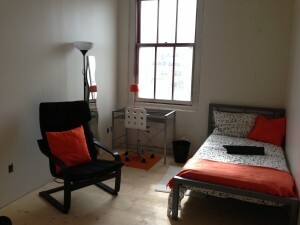 We are really happy to announce that starting this summer, 2013, EC will have a brand new student residence to offer exclusively to our students. It is called the Monastery and is located in the exciting Valencia corridor area, just 15 minutes from our school, near great cafes, restaurants, galleries and shops, and just a few blocks from the very popular Dolores Park. The building is still under construction but we have a few pictures of the Monastery now. Take a look! 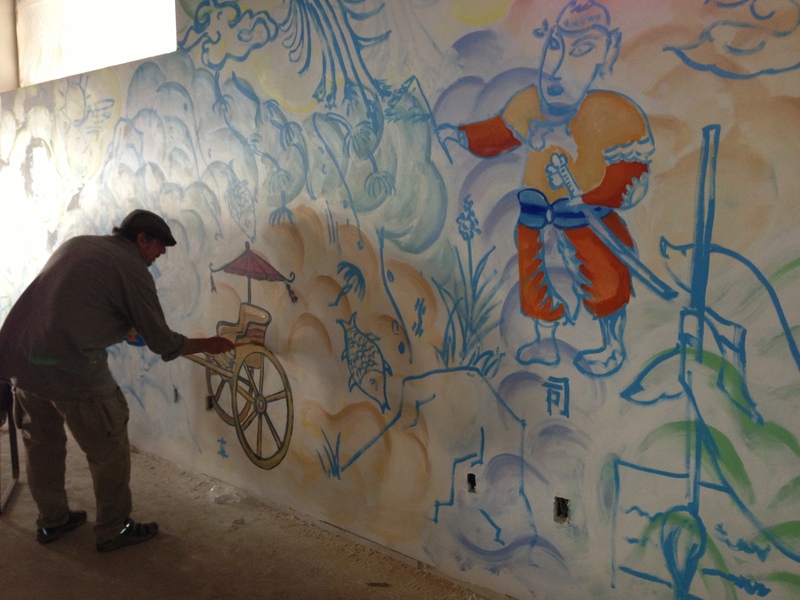 Here is an artist working on the huge mural in the lounge/dining area of The Monastery. Our new residence has a rooftop deck with great views of the City! At the Monastery, every room has its own full bathroom! A single room in EC’s new residence, The Monastery, just 15 minutes from EC in a great neighborhood with cafes, restaurants and clubs!